He was so self-effacing that for long I never knew his real name – Viswanathan. It was only while signing cheques from Madras Musings for articles he occasionally wrote for us that I learnt of it. I made his acquaintance at one of the Sabhas; it could have been NGS where he was a fixture. He of course had a stature as a writer and quite independent of Carnatic music but it was in the latter space that I got to know him well. He, like that other angel – ‘Nadopasana’ R Srinivasan – was a regular at many concert venues but mostly at the Sastri Hall, and in later years at Ragasudha. Like Srinivasan he focused on young talent. Like S Rajam, Charukesi too addressed all men as Sir, irrespective of however many years they were younger than him. He never threw his weight about or claimed proximity with Sabha secretaries, all of which he could have. Therefore, he was a true gentleman who did not indulge in the standard predatory behaviour that is so typical of so many Mamas in Carnatic Music wherein they claim abilities to fix concerts for the young and aspiring. A very sincere member of Natyarangam, the dance committee at the Narada Gana Sabha, he was one of the key creative brains that came up each year with an inspiring ‘Bharatam’ series. As a reviewer he was most diligent and fair-minded. His critiques aimed to get the artiste to rise to greater heights and not feel despondent. And he never gave advice unless he was asked for it. His humour too was gentle. Among my favourite reads was a short story about a squirrel that regularly made it to the Sastri Hall to listen to performances. Like the squirrel, Charukesi Sir too made it to various Sabhas. In fact you invariably ran into him at the Alwarpet signal where with a slight characteristic stoop, he hurried to some venue or the other. 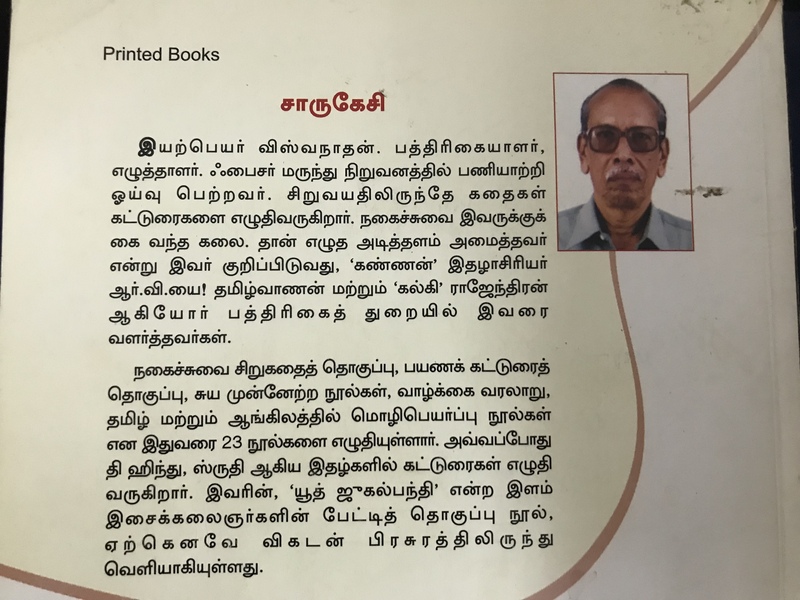 Among his other writings on music is a detailed biography of Palghat TS Mani Iyer. He was besides, a regular contributor to Sruti magazine. I had the privilege of being of some small assistance in one of his projects. 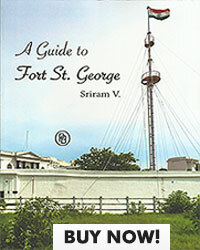 My mentor KV Ramanathan had edited a two-volume work on S Satyamurti’s letters and this was published in English. Charukesi Sir worked on the Tamil version and for this I gave him a set of Satyamurti photos and cartoons, all acquired by me from the Ragami Collection. When they were returned, it was in typical Charukesi style – neatly wrapped and numbered, with a thank you note. The last couple of years were not kind to Charukesi Sir and I am happy that his suffering is over. He did not deserve sorrow of any kind. I am sure he will be looking down from wherever he is and observing all our quirks and making notes about them.